5.1V 1.3W. Zener Diode. 5% Tolerance. Rotary Switch. Make before break.1 pole 12 ways. Adjustable stop lock-washer under bush allows 2-12 ways. 110VAC 350mA max. 9mm dia bush 6.3mm x 38mm shaft with flat. Rotary Switch. Make before break.2 pole 6 ways. Adjustable stop lock-washer under bush allows 2-6 ways. 110VAC 350mA max. 9mm dia bush 6.3mm x 38mm shaft with flat. 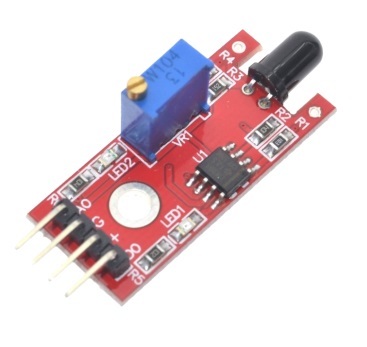 This module uses a photo diode that is sensitive to IR between 760-1100nM so it can detect the light of a flame. It also has a comparator to give a digital output as well as an analogue output and a potentiometer to adjust the level for the digital output.